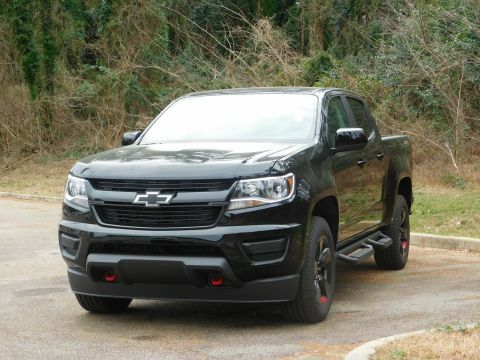 Z71 PREFERRED EQUIPMENT GROUP includes standard equipment, WHEELS, 17 X 8 (43.2 CM X 20.3 CM) DARK ARGENT METALLIC CAST ALUMINUM, TRANSMISSION, 8-SPEED AUTOMATIC (STD), TRAILERING PACKAGE, HEAVY-DUTY includes trailer hitch and 7-pin connector, TOW/HAUL MODE, TIRES, P255/65R17 ALL-TERRAIN, BLACKWALL, SEATS, FRONT BUCKET (STD), REAR AXLE, 3.42 RATIO, LPO, WHEEL LOCKS, LPO, WHEEL FLARES. 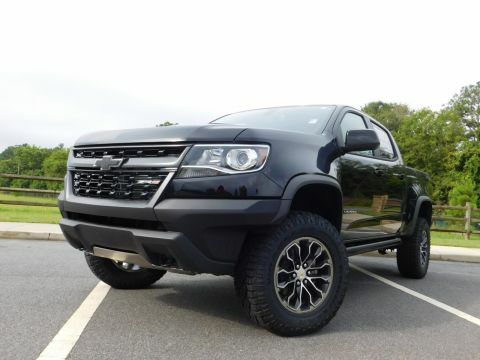 This Chevrolet Colorado has a powerful Gas V6 3.6L/ engine powering this Automatic transmission. 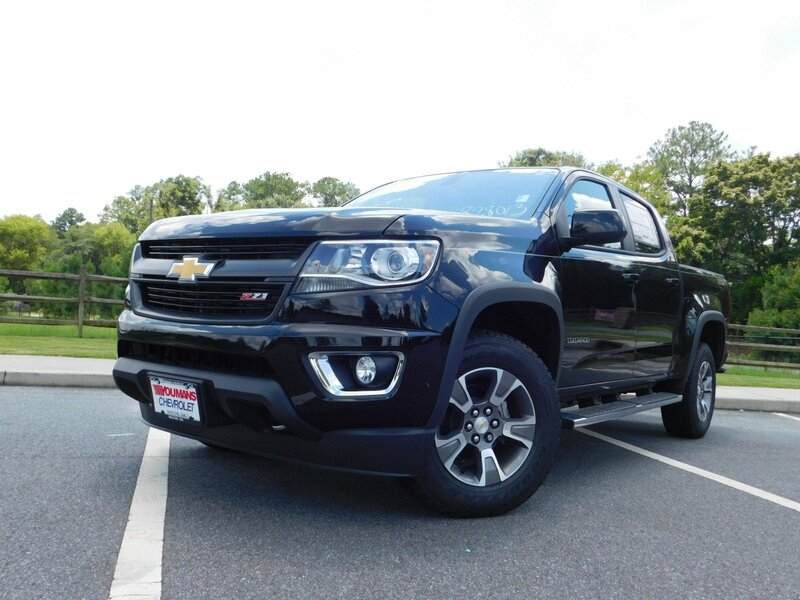 * Experience a Fully-Loaded Chevrolet Colorado 4WD Z71 *LPO, CHROME RECOVERY HOOKS, LPO, CARGO TIE-DOWN RINGS (SET OF 4), LPO, ASSIST STEPS, CHROME, 5 RECTANGULAR, LICENSE PLATE KIT, FRONT, JET BLACK, CLOTH/LEATHERETTE SEAT TRIM, GVWR, 6000 LBS. (2722 KG) (STD), ENGINE, 3.6L DI DOHC V6 VVT (308 hp [230.0 kW] @ 6800 rpm, 275 lb-ft of torque [373 N-m] @ 4000 rpm) (STD), BLACK, AUDIO SYSTEM, CHEVROLET MYLINK RADIO WITH 8 DIAGONAL COLOR TOUCH-SCREEN, AM/FM STEREO seek-and-scan and digital clock, includes Bluetooth streaming audio for music and select phones; voice-activated technology for radio and phone; featuring Apple CarPlay capability for compatible phone; includes auxiliary jack (STD), Windows, power with driver Express-Up and Down, Window, rear-sliding, manual, Wheels, 17 x 8 (43.2 cm x 20.3 cm) Dark Argent Metallic cast aluminum, Wheel, spare, 16 x 7 (40.6 cm x 17.8 cm) steel, Visors, driver and front passenger illuminated sliding vanity mirrors, Transfer case, electric, 2-speed AutoTrac, Transfer case shield, Trailering assist, guidelines (Included and only available with (LGZ) 3.6L DI DOHC V6 engine or (LWN) 2.8L Duramax Turbo-Diesel engine. ), Traction control, electronic, Tires, P255/65R17 all-terrain, blackwall, Tire, spare P265/70R16 all-season, blackwall. 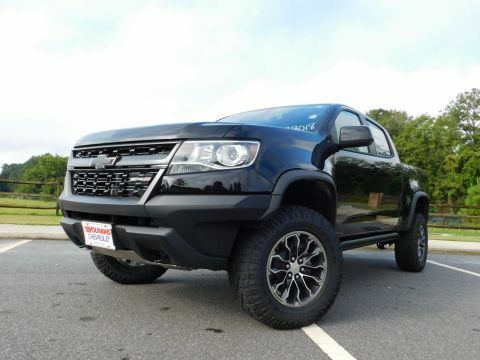 * Visit Us Today *For a must-own Chevrolet Colorado come see us at Youmans Chevrolet, 2020 Riverside Dr, Macon, GA 31204. Just minutes away!